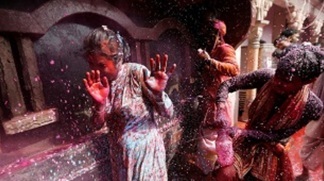 Holi fest, also known as the festival of colours, will be held in Ankara and Istanbul this year, Indian Ambassador to Turkey Sanjay Bhattacharyya said. Speaking to Anadolu Agency following the Indian Council for Cultural Relations (ICCR) event in Ankara, Bhattacharyya praised shared bonds of brotherhood and friendship between Turkey and India. “Holi, the festival of colours, marks the advent of spring and the Indian new year. It is a time for all Indians, irrespective of race or religion or language, come together to celebrate through song and dance and merriment,” Bhattacharyya said. He said younger people have more fun during the festival but everyone is welcomed to be part of this joyous event. “We are collaborating with a Turkish group to celebrate Holi in Istanbul and shall also have Holi in Ankara, but a few weeks later, when the sun is warmer,” the ambassador said. He said cultural relations between Turkey and India have grown in recent years. “Today, we do business, travel to each other’s country, eat food together and share stories of our achievements. This strengthens our friendship. We even have weddings in Antalya or Goa, a mark of the close affinity that has grown between us,” he said. Bhattacharyya also said the Indian Embassy is preparing to host a cultural festival named “India by the Bosphorus” in four different Turkish cities. “Featuring the diversity of our cultural forms, the festival will build new bridges to connect our peoples closer together. Like the festival of Holi, ‘India by the Bosphorus’ will bring joy and happiness to all,” he added. ICCR is an autonomous organization of India actively participating in the formulation and implementation of policies and programs pertaining to India’s external relations, fostering and strengthening cultural relations and people, and developing relation with nations. It was found by MaulanaAbulKalam Azad, the first Education Minister of independent India, in 1950.